seems i haven't been in the blogging mood lately. it's not that i've been so very busy. i think it's just the contrary, i've been quite lazy. but i think that now i'm back. needless to say, i loved it a lot! 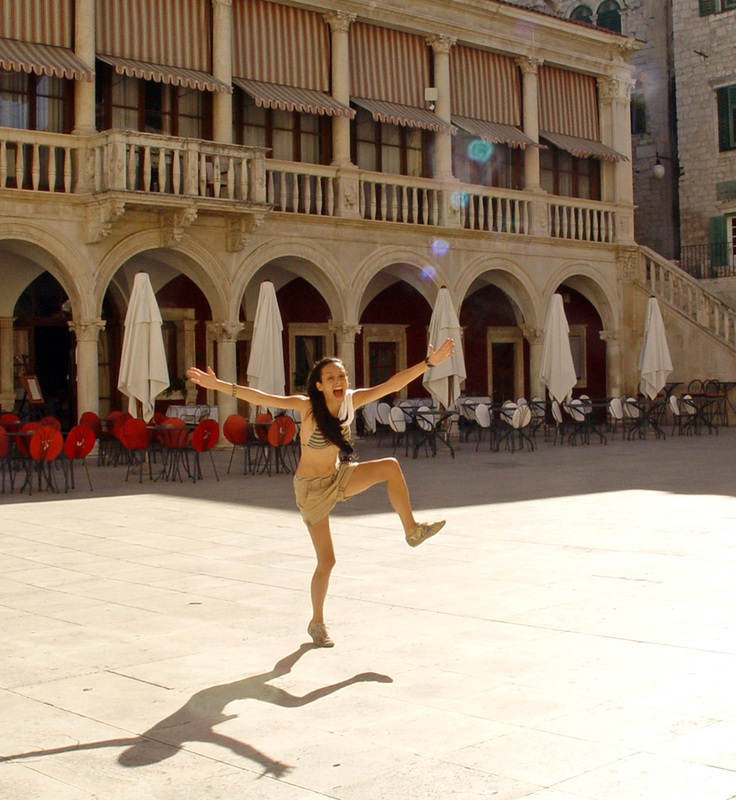 pic above is me in sibenik. i might post some more pics, too. megaztán múlt héten, afféle váratlan fordulatként, elugrottam kicsit nyaralni is. hogy kiszakadjak kicsit a városból és a pillanatnyi semmittevésből. a fönti képen épp sibenikben mutatom be sáskatudományomat. o wow!!!! how good for you, Anita! i loved it! Ha, have fun Agnes, lovely image of you. Would love to see some more pics of your trip. I'll post some more very soon! It's great to see you're back again here :) and it seems you had lots of fun, wonderful pic!! Aaa COOL! Looks like so much FUN:)) made me smile, pretty you!